Joseph Barry Martin Ph. D.
Joseph is the Founder and Director of the Academy of World Psychology and Creative Arts, and ~The Soul Initiative~ giving Coach-Facilitator Degrees. As a Professor, he has been a coach and trainer of individuals, a Marriage & Family Therapist and facilitated groups to enhance their personal excellence for over 25 years in such venues as a professor of Anthropology, Family Studies and Experimental Art. He has been a Psychotherapist since 1979 and has facilitated Dream Groups and Recovery Groups as well Executive Coach for dozens of business leaders and organizations. He is an Energy Medicine Facilitator, Educator, Writer as well as Composer and Artist. Joseph’s conceptual psychotherapeutic groundwork includes Freudian, Self-Psychology, Jungian, Archetypal, Adlerian, Gestalt, Psychodrama, Behavioral, Biofeedback, Transpersonal and other modalities. Coaching individuals in “regeneration through soul purpose” and self-discovery with visualization, meditation, dreamwork, communication skills, NLP, psychotherapy, Natural Medicine and more. His clientele reflects his openness to issues of gender, sexual orientation and ethnicity. He has lived and worked with First Nations Peoples for thirty years, as well as with many other cultural groups. His clients have been from all ages and walks of life including those in corporations, business, education institutions and all the professions. The hallmarks of Joseph’s interactions with people have been open-heartedness, discipline, fun, play, creativity, logic, questioning, self-discovery and in developing will power with the ability to compassionately connect. Open communications and co-creating optimal relationships are foundational to highest learning and wellness. Integrity, respect, trust and love are inherent values in all interpersonal relations and healing transformations. Through deepening experiential processes, individuals find they can open up doors, walk through and become the persons they dared dream about. Miriam Sanua’s earlier background has been in Art and design as an expression for her creative abilities to flourish. She is a post graduate trainer in ~The Soul Initiative~ Program with Seven years training at the Academy of World Psychology and Creative Arts in Psychotherapy. 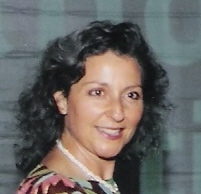 Miriam is an Holistic Integrative Coach and Energy Medicine Facilitator since 1999. She spent 15 years studying Kabbalah, integrating and implementing her knowledge from Esoteric Studies and Universal Principles that align with Integrative Health for the purpose of soul growth. Miriam uses a multiplicity of modalities in the identification and coaching of ‘regeneration through soul purpose’ including Inner Child Integration and Healing, Dreamwork, Guided Meditation-Visualizations, NLP, Native and Animal Medicine Arts and Energy Medicine and Healing. She facilitates meditation groups especially for women. Miriam inspires and motivates people in realizing their greatest potential. Being open-hearted, a compassionate communicator and intuitive listener, Miriam clearly and honestly hones in on the heart truth of client’s core issues. Creating a safe, trusting and respectful environment, as a peacemaker, she reaches into hearts through her voice, her quiet, heart-felt presence, visualizations, writing, dance, poetry and soul drawings and using her skills and talents in guiding people to re-empower-ment. Creating openings to heal, integrate and align the Four Bodies, Miriam works as an Energy Medicine Facilitator and Holistic Integrative Coach. In the flow of new energy and transformation on the planet, as a facilitator Miriam now offers the experience of Global Nurturing, launched in Toronto March 2011 and newly launching in Victoria BC in June 2012. More than ever we need to feel supported in our very ‘doing’ oriented world to reclaim balance in the power of our emerging feminine ways to be here now! A beautiful way to connect to our inner divine soul nurturer as well as the nurturer we need to be to ourselves and the planet. Showing up to be the change we want to see in the world starting from the inside out. In addition to the 6 week sessions, Miriam facilitates and coaches private sessions based on the interconnectedness and messages of the Earth Soul Nurturer, animal, flower and gem spirits. Building Confidence & Self-acceptance, Accountability and Self-responsibility, Releasing All That No Longer Stands For Ones Higher Purpose, Creating Personal Freedom, Heart, Mind & Soul.